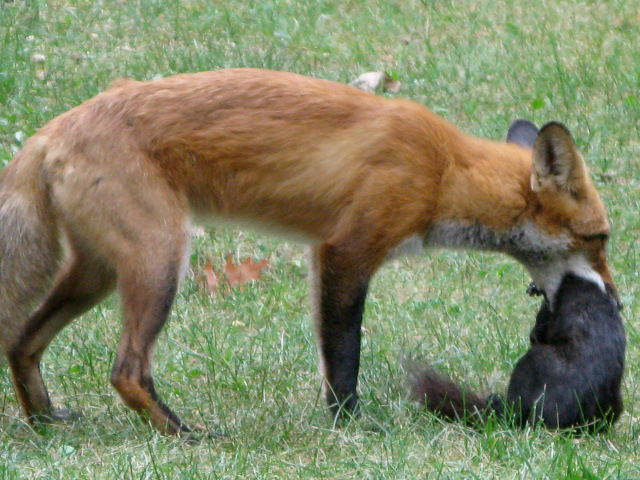 The National Post has a story about a fox catching a squirrel right in our neighbourhood. I understand that this is normal: I’ve seen Mutual of Omaha’s Wild Kingdom too you know! Maybe it’s even a good sign that our city can support a fox population. I’m still glad it’s not someone we know though. The photographer who took the pictures was nice enough to allow us to post them here. Photos Courtesy Gary Withers, used with permission. Really? Not for children? It happens everyday I submit that any child who does not recognize this is probably too sheltered. I’d rather see the chain of life in action vs. roadkill which I imagine nearly all kids have seen regularly. 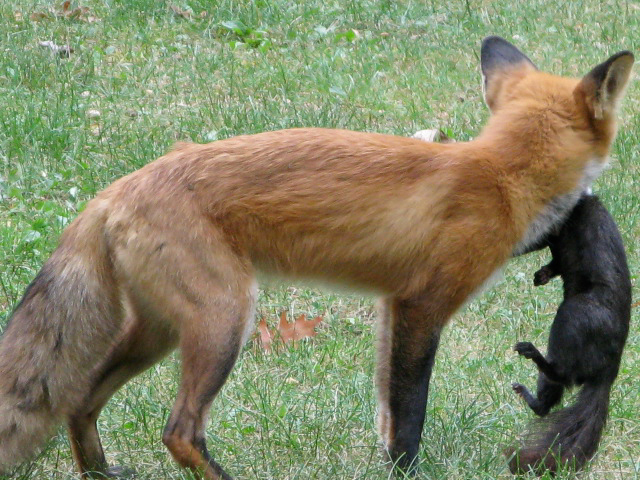 Without predators (foxes) the prey populations get way too large and then cute little babies die of starvation. I’d rather the foxes take what they need to survive. Unlike unleashed dogs, or some people, foxes take only what they need to survive, kill quickly and don’t leave anything to waste. This would make an excellent lesson for young children. Ask mine. Luis on Why do squirrels have bushy tails?